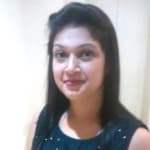 Dr. Monika Arora is one of the best Dietitian/Nutritionist Ram Vihar Delhi. Doctor is currently practising at Indus Health Ram Vihar , Delhi. Book an appointment online with Dr. Monika Arora and consult privately on Lybrate.com. Lybrate.com has an excellent community of Dietitian/Nutritionist in India. You will find Dietitian/Nutritionist with more than 27 years of experience on Lybrate.com. You can find Dietitian/Nutritionist online in Delhi and from across India. View the profile of medical specialists and their reviews from other patients to make an informed decision. excellent experience & she is so calmly consult with patients. Hello, I want to reduce my weight in 3 months I am 26 year old my weight is 85 and height is 5'6 in last 1 year my weight sudden increased. As I currently working and my office hours is 10-6.30 I had join zym, aerobics but not able to reduce reason is that m not going regularly due long office working hours last few days and also so stressed up with the work. Please suggest a good diet as my hb is also low I.e.9 shall I again join the zym. Or I will start walking. Please suggest how I can reduce my weight! Hi Lybrate user alws take your meals on time when you r working ,check your water intake, avoid lift and use stairs at your work place normal morning brisk walk will be more beneficial for you. For more contact me through Lybrate. Is it ok to drink a glass of water after having a meal? Some say you should not drink with after having meal for flat tummy. But I can not avoid it. Hi Lybrate user no its not fine of having water with or after meal there is a gap of atleast 20 _30 min after meals if you really want watet in between or immediate after meal then only take few sips of it not full glass and please tk some luke warm water after that. Instead of stocking up on chocolate as glucose boosters, try high-fibre, low sugar oat bars. These take care of your cravings. I am a 20 year old boy And I want to gain some weight n wanna to have fit body So what can I do. Hi lybrate-user gaining wt is quite a slow process you hv too increase your calorie intake not by taking junk or fried foods but by including healthy options in your daily diet .tk meal at frequent intervals do not skip andavoid long gaps in b/w your meals .Do proper work outs this increase your digestion power .for more details contact me throught Lybrate. Drink a glass of milk with your meals, rather than a glass of water. If you eat cereal in breakfast, try adding a sliced up banana with it.